Your morning is not complete without TNS Illuminating Eye Cream. It smoothes crepy skin in a cosmetically elegant formula that’s perfect under makeup. Containing TNS growth factors and peptides like its sister product, this daytime formula adds light-diffusing illuminators that make a noticeable improvement in the appearance of dark circles. 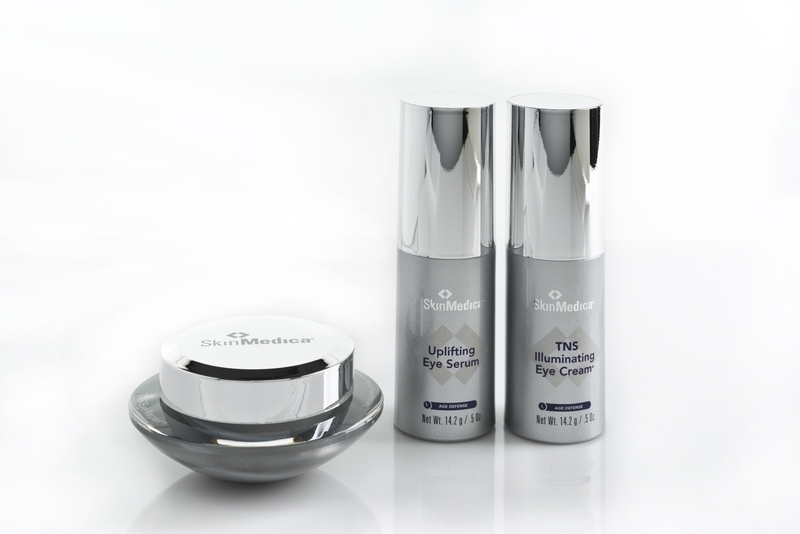 SkinMedica’s eye products are formulated to synergistically work together for results not normally experienced with topical eye products. In a perfect world, you’ll use TNS Eye Repair at night and Uplifting Eye Serum followed by TNS Illuminating Eye Cream each morning.